Two startups from Lublin accepted into prestigious MIT accelerator programme! MIT Enterprise Forum Poland accepted 23 technology startups into accelerator programme founded on the know-how shared by one of the best universities of technology in the world, Massachusetts Institute of Technology. Founders of two innovative businesses from Lublin have a chance to graduate from this programme. The chief objective of the programme is to support innovative micro and small enterprises developing unique technologies in accelerating commercialisation of the solutions they offer. 120 start-ups representing financial, energetic, pharmaceutical and raw material industries applied to the project. Through an application process, the selection committee chose twenty three startups, five of which will be admitted to a one-week bootcamp organised by Massachusetts Institute of Technology in Boston. - It is a golden opportunity for micro and small enterprises working on scientific and technological innovation. They will not only have a chance to go through acceleration founded on the model developed by Massachusetts Institute of Technology. They will also receive financial investment of up to PLN 200,000 available within Scale UP programme. What is also of great value is support of large corporations, e.g. PKO Bank Polski, Grupa PGNiG, Grupa KGHM and Grupa Adamed - says Paweł Bochniarz, President of MIT Enterprise Forum Poland. Cycle - intelligent plaster and app monitoring ovulation cycle in order to track the most fertile days. Partners supporting the MITEF programme include also: Visa, Hewlett Packard Enterprise Poland, Intel, Campus Warsaw, Foundation for Polish Science, Polish Business and Innovation Centers Association in Poland (SOOIPP) and Safe Cyberspace Foundation. In legal aspects, startups will be supported by two legal offices: Wardyński and Partners and JWP Patent Attorneys. 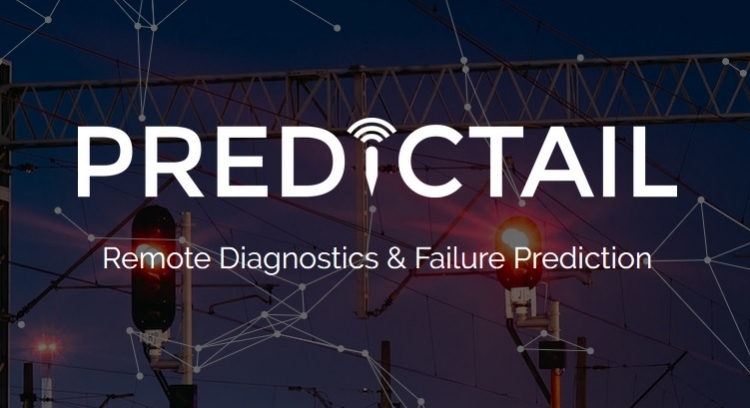 Predictail.com is a system of remote diagnostics and prediction of failure of industrial machinery. Connect Predictail Device to communication bus in your industrial equipment. We collect data in a safe cloud. There state-of-the-art machine learning algorithms analyze all information 24/7. When our system detects something suspicious you will be noticed in seconds. Access data from your industrial equipment via web browser – anytime, anywhere and from any smartdevice. Readable reports are generated automatically. Browsing data and customizing reports at your service. Remote diagnostics was never so simple.